Migrating to Salesforce Lightning – Are You Ready? For those who are using Salesforce, you are all too familiar with the productivity-increasing features Salesforce has to offer. With the development of Salesforce Lightning, you can turbocharge your companies processes with industry-leading technology and apps. Migrating to a new CRM can be not only intimidating, but it could make or break your business if not performed correctly. The seamless migration from Salesforce to Salesforce Lightning provides a smooth transition that will only benefit your team and the business’ end goals. With a wide variety of exclusive technology, the Lighting platform outperforms leading CRM’s and allows you to be ahead of the competition. Today we are going to look at the 5 reasons why you should already be migrated to salesforce lightning. Anyone who has worked in sales knows the importance of a good CRM program. However, most users are limited to what they can get as typical CRMs are built to function in only one way. While most make these types of out-of-the-box solutions work, many will still be left wanting more features to make their processes easier. That is where Salesforce Lightning stands out from the competition. With over 300 components and 500+ apps, you can easily build out the ideal CRM to perfectly fit your business. Time is a valuable commodity in the workplace and any time saved is ultimately money saved for the company. One of the easiest ways to achieve this is to increase productivity by making processes easier and faster. 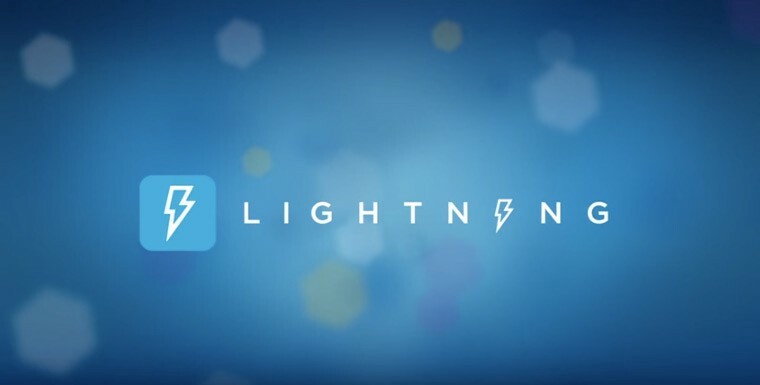 The Lightning platform has taken the most used Salesforce apps and optimised them to perform quicker and make them more user-friendly for faster navigation. Not only did they make your favourite apps better, they also added in new features like the segmented search bar, utility bar, and even a customisable dashboard. The Lightning platform is very versatile and allows you to design and construct your own apps with multiple strategies. 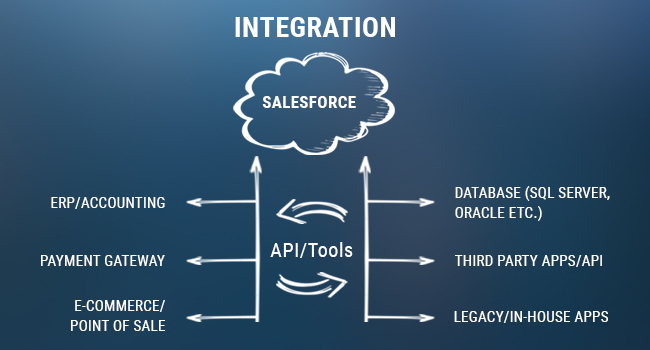 Easily integrate Salesforce Connect and the newly released External Services Wizard without having to code, making it much easier for anyone to accomplish. If you are looking for more of a specialised integration, check out the REST suites or SOAP APIs. If your team has struggled with project management or sales pipelines, this new Lightning platform is the comprehensive solution you have been waiting for. Create custom sales paths for your sales team to follow to instruct them on each step along the way for a more uniform sales process that is easy to train and execute. Not only is it designed to save time, but it has also been proven to save sales reps hours a week with new processes. Sales reps generally save 5-10 hours per week after the migration to Salesforce Lightning. Just think of the possibilities with 10 extra hours a week! When designing the Lightning platform, user experience was the key focus for the Salesforce developers. Creating an easy to use CRM would equate to millions of dollars saved by companies all over the world and the software would speak for itself. They were able to accomplish this by allowing users to customize the platform to fit their specific needs. Loading up a dashboard with all of the daily to-dos and meetings allows you to manage your projects more efficiently. Setting up Utility bars and segmented searches cut the time you need to navigate in half which can be a huge time saver for sales reps.
As the summer swings into full gear, so does the retail season. This means higher profits for businesses, but more stress for business owners.